Daniel the French owner of a French, Ewe etc, Language School in Lome, Togo. The best way to learn about a culture is to speak the language, when you figure out how they talk, you slowly learn how they think, and then along comes some cultural understanding. 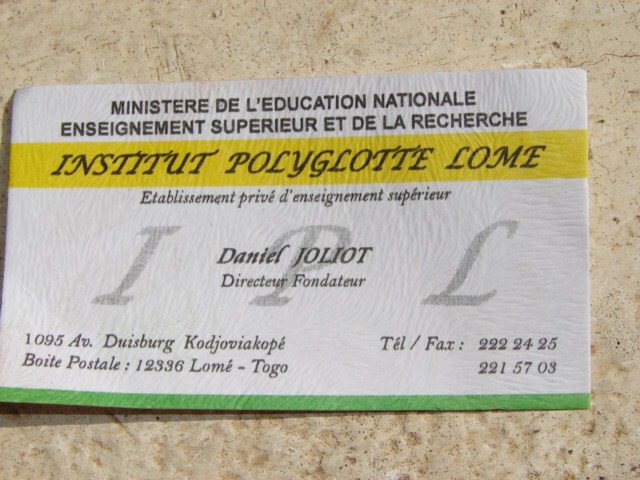 I found a School to study languages in Lome, Togo. 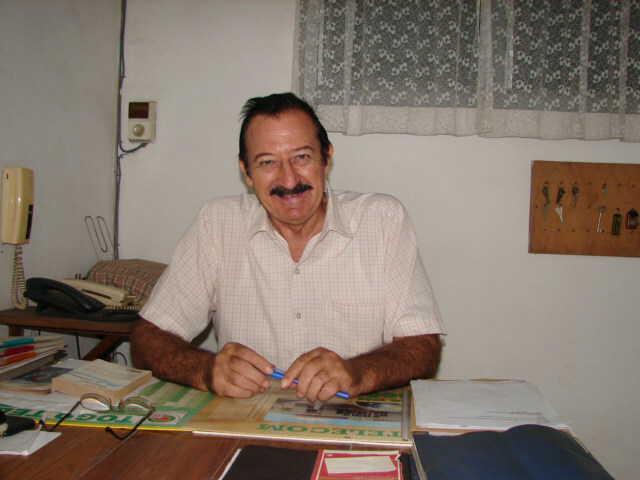 I can learn Ewe, the local language of Lome, Togo, or I can learn French. I think French is a good start, however you can choose from many languages with Daniel. If you wanted to do business in Togo, it would be a good idea to ask for help, take a quick course or a refresher course. Daniel has been in West Africa for over 17 years and can help you find the rope to shore, so you boat does not float away. Say to a Taxi, I want to go the Angola Embassy, something as in Ambassade De l'Angola. Remember, they do not speak English. When the Taxi is there, you walk about two blocks toward the central city and the office in on the left, the sign says something about Polyglotte. This is the neighborhood, the taxis here in Lome, think in terms of neighborhood, not streets. This would get you closer to the school; one of the two landmarks will get you closer. Alternative directions would be to go to the Hotel Galion, walk north away from the ocean, when you see an internet café on your right, then stop in and look around you should eventually see a sign saying Polyglotte. Or for about 90 percent of you, pull out your cell phone and call Daniel and say I am a white person standing in front of the internet Café or the Embassy or in the Galion or some landmark. Personally, I have given up on street addresses, I know the pizza man is confused, I am confused, and the world really does not use them, so I use a land marks, like the Internet Café, the Embassy of Angola, or the Galion Hotel, one them is a good start to find the woods which is the neighborhood of Kodjoviakope.